Fundraiser by Lancaster Music Co-op : Save Lancaster Music Co-op! This is a page for those who want to contribute financially to the Save Lancaster Music Co-op Campaign. On October 12th, 2018 Lancaster City Council served us with an eviction notice on the building we have occupied for 33 years. We now need to fight to get that eviction notice overturned and realise the original renovation plans we had in place. In 2002 we had a successful planning application approved to totally revamp the interior of the building to create a new purpose built recording studio, rehearsal rooms and venue. But when Lancaster City Council, who own the building, teamed up with a big property developer and earmarked our building and the land surrounding it for commercial development, any hopes for us to get a long term lease on the building went out of the window. 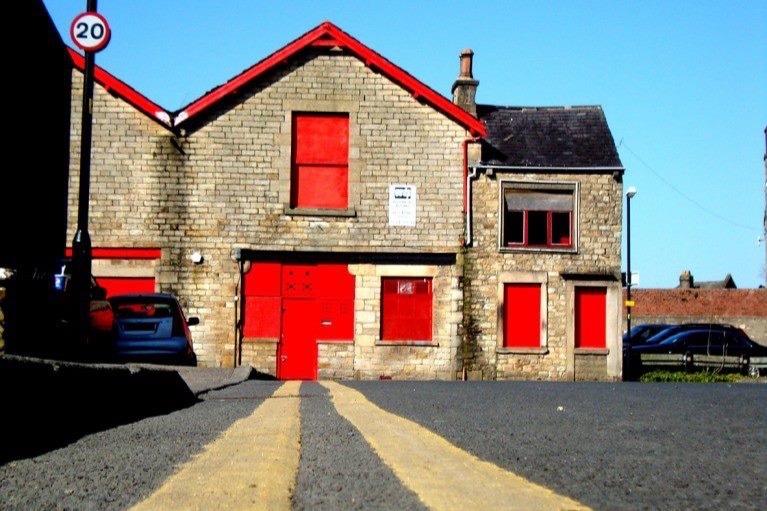 A long term lease would have given us security and more importantly access to much needed funding to totally revamp the interior of the building to create a new purpose built recording studio, rehearsal rooms and venue, but the council refused to give us security on a building we had occupied for 33 years. It has been a very frustrating waiting game. In April we were given a glimmer of hope when Lancaster City Council severed ties with the big developer. But instead of helping the Co-op to get back on its feet after being left in limbo for 16 years, in July they issued Lancaster Music Co-op with a huge list of impossible demands and repairs on the building. Three months on and we have been served with an eviction notice. We need to fight the eviction notice and finally obtain a long term lease on the building to secure our future. We’re going to need money to realise our plans, and lots of it!! Any money raised will initially go towards funding the Save The Music Co-op campaign in getting the eviction order quashed. If this is achieved, we want to raise money to start the renovations on the building and realise our dreams of providing an amazing non profit making studio and rehearsal room facilities that the whole community will enjoy. Don’t worry if you can’t afford to donate, we’re musicians, we get it! But even £1 would be helpful and go towards the cause . If you can’t donate anything, instead please help to spread the word about what is happening to us and sign our petition here https://www.change.org/p/lancaster-city-council-save-lancaster-music-co-op-fight-the-eviction . Word of mouth and social media is going to be instrumental in the success of this campaign. Or if you can help in any other way please get in touch! Thanks for sticking with us. We’re sticking with you.